I read it in English, so, I must write it in English… But I want to remember I don’t know English as well Spanish, so forget and forgive my mistakes, please!! This is the last book of Marian Keyes and the last book of Walsh’s Family too. It is about Helen, the younger daughter. Helen is a Private Investigator. She is having problems with her mortgage, so she has to leave her flat and came back parents’ home. And in this sad and mad moment, her ex-boyfriend, Jay Parker, calls her to a job of a missing man. She has to accept it. Even though she doesn’t want to work with him again. Despite her new boyfriend might be jealous. Wayne is one of Laddz, a famous band in the past that have decided to play together as a tribute. They were five members: Roger, Frankie, John, Docker and Wayne. But Docker is not going to play. And since Thursday Wayne is missing and the first concert is going to be on next Wednesday. Could Helen find Wayne? Why is Wayne missing? Is he alive? Is he death? I like Marian Keyes and Walsh’s Family. I’ve only read about Maggie and I liked it. In this case, Helen is not only to find Wayne, but also has to find herself. She has to learn to appreciate her own life and people who are closed her, who loved her. We often are not aware of all the people we have around us. 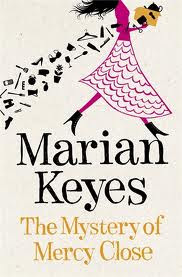 If you want a relaxed and funny reading, Marian Keyes could be a good option. And if you want to improve your English, I think it will be too. But me.